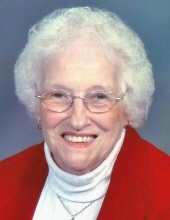 Isabelle R. Straley, 88, of Manteno, formerly of Momence, IL, died on Saturday, April 6, 2019, at the Heritage Woods of Manteno, in Manteno, IL. She was born on December 9, 1930 in Onarga, IL, the daughter of Archibald and Eveline Boudreau Nickerson. She married Edward Prairie. He preceded her in death on December 20, 1962. She later married Bruce Straley on June 7, 1963, in Kankakee, IL. He also preceded her in death on September 17, 1994. She is survived by one daughter and son-in-law; Joy (Mark) Raef of Martinton, IL. Four sons and daughters-in-law; Brian (Mary) Prairie of Clifton, IL, Dale (Pat) Prairie of Mason, OH, Scott Prairie of Momence, IL, and Neil Straley of Momence, IL. Also surviving are thirteen grandchildren and thirteen great grandchildren. She was preceded in death by her parents, two brothers, six sisters, and one son-in-law; Gerard Rivard, one daughter-in-law; Karen Prairie, and one grandson; Paul Prairie. She worked previously as a cook in the Momence School District. She was a member of the St. Patrick Catholic Church in Momence, IL, where she was part of the Council of Catholic Women and served as a Lay Minister Homebound for 14 years, and a CCD teacher. She was also a member of the American Legion Auxiliary in Momence, IL. She enjoyed sewing and making quilts. To send flowers or a remembrance gift to the family of Isabelle R. Straley, please visit our Tribute Store. "Email Address" would like to share the life celebration of Isabelle R. Straley. Click on the "link" to go to share a favorite memory or leave a condolence message for the family.